The State-run Vietnam Cement Corporation has asked northern cement manufacturers to rapidly provide products for the south where supply is currently low to help reduce the fever in the southern market. On Monday, 3,000 tons of cement provided by the Hoang Mai Co. and 5,150 tons of clinker from the Hoang Thach Cement Co. arrived at the Ho Chi Minh City Port. An additional 25,000 tons of clinker provided by Hoang Thach and the Hai Phong Cement Co., as well as 30,000 tons of cement from Tam Diep and Hoang Mai are on the way. 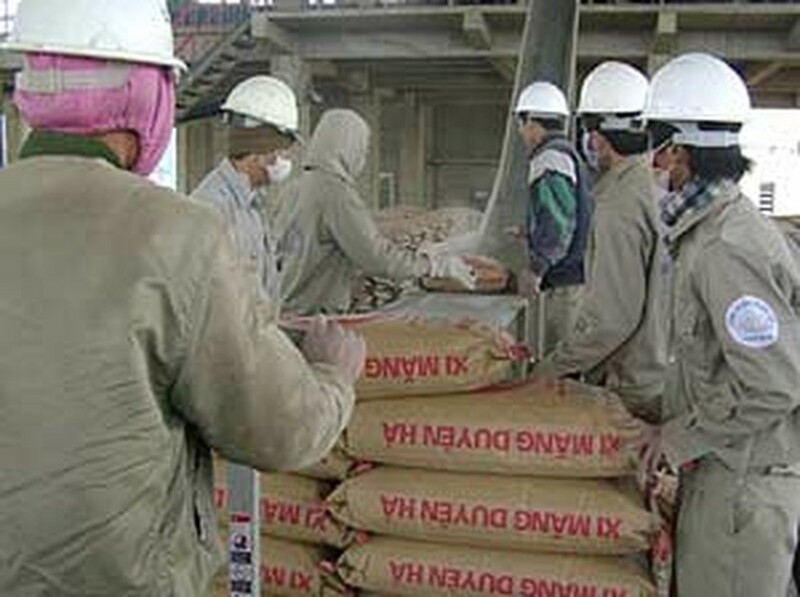 Vietnam Cement Corp. has also told northern suppliers to transport unpacked cement to the south for packing. Almost 60,000 tons of cement in all from the north is expected to reach the south between now and the end of this month.